Last updated: July 20, 2018 at 12:12pm by Savanah – The House in Minnesota did not pass a bill last month that would clarify online daily fantasy sports betting as a game of skill which would deem the activity legal. If the bill were to ever pass it would not require daily fantasy sports sites to pay a license fee to the state. Electronic pull tabs and electronic linked bingo have increased revenues by 500% the past two years. Phyllis Kahn, Minnesota State Representative, introduced a bill (HF 765) which would legalize sports betting. If passed, wagers would have to be made in person, minimum age of 21, cannot bet on events that include Minnesota college teams, and operators would be taxed 8% on net winnings. 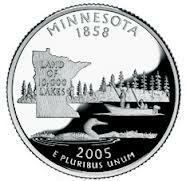 This article is intended to answer any questions about poker in the state of Minnesota. It will cover both online poker and offline poker, as well as outlining their current laws they have in place. It’s important to note that the definition includes, “accompanied by some element of skill”. Most other state laws aren’t as specific in this area as Minnesota is. The game of poker can easily be included in this section of the law. Sells or transfers a chance to participate in a lottery. Disseminates information about a lottery, except a lottery conducted by an adjoining state, with intent to encourage participation therein. Permits a structure or location owned or occupied by the actor or under the actor’s control to be used as a gambling place. Except where authorized by statute, possesses a gambling device. Like many US states, the law regarding poker being played over the net is complicated in Minnesota, and you should consult a lawyer for a definitive answer to this question. With that being said, however, you should have little trouble finding a poker site that accepts players from Minnesota. There aren’t any USA friendly sites we are aware of that restrict sign-ups from the state, and we couldn’t find any state laws that specifically pertain to online poker. In 2009 they tried to block the state’s residents from visiting online poker rooms in accordance with the federal wire act, but for constitutional reasons, the efforts were unsuccessful. Playing over the World Wide Web might seem a little risky, but Minnesota hasn’t made a crime of it. There have been no official bills introduced to the state legislature, but there is conversation going on in committees and amongst legislators about the possibility of pursuing Minnesota online gambling/poker legislation formally in the future. The lottery seems to be the most important part they are looking at, but poker is not that far behind. Do Indian Casinos in Minnesota Offer Poker? Yes. In the larger Indian casinos, poker rooms are practically guaranteed. They have all of the most popular poker games including the two most popular, Texas Holdem and Omaha. Unlike the stipulations on home games where you can’t accept or play for money, these casinos do offer money and/or prizes. As like most poker rooms, they do take a rake. Most of the Indian casinos in Minnesota are full resorts with nightclubs and fine dining, but their gambling is usually the main attraction. A good poker resource is Minnesota Poker Magazine which highlights current poker news, tournaments, etc., within the state. Since these casinos come in all shapes and sizes, they all have different offerings.